Home » Education Legislation » Drafting Women? The Pentagon announced yesterday it would end its official policy banning women from serving in ground-combat roles, opening an estimated 230,000 positions to female servicemembers. The unexpected move by departing Secretary of Defense Leon Panetta has met mixed reaction, and numerous questions remain about the practical effects of the decision. The Thursday announcement by Panetta—who was joined by Chairman of the Joint Chiefs of Staff Gen. Martin Dempsey—settles one of the last remaining policy disparities between men and women in combat, allowing females to join infantry, artillery, armor, and other combat-coded posts previously reserved solely for men, including the special operations components. But, while the policy change topples some of the last remaining walls for women in uniform, it also poses serious questions for policy makers, chief among them being the status of women vis-à-vis the Selective Service System. 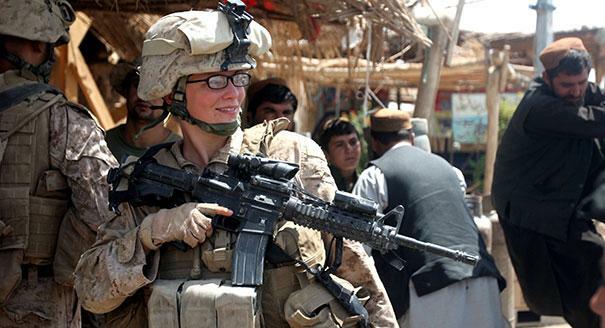 The defined role of women in combat dates to a 1994 decision by the Clinton administration that female servicemembers were specifically excluded from ground-combat roles. Positions in the medical, intelligence and logistics fields have been open to women, but, officially, those support roles are not considered part of the ground-combat-coded force. Practically speaking, however, battlefield commanders have been attaching female servicemembers from those specialties to ground combat units for the past 11 years, blurring the lines for women in combat, at least unofficially. The Selective Service System was created in 1917 by President Woodrow Wilson as a way of raising a military to fight in World War I. The first Selective Service Act pulled 2.5 million Americans into the war, more than half a million more than volunteered to fight. The 1917 draft codified a policy of conscription that survived in subsequent legislation to raise forces for World War II, Korea and Vietnam. The Selective Service remains viable today; males are required to register with the Selective Service System no more than 30 days after their 18th birthday. Failure to register can carry stiff penalties, including up to five years in prison and a $250,000 fine. Actually, it’s not quite that cut-and-dried. The Selective Service System is an executive branch agency that answers directly to the president, but the criteria guiding who must register for the draft is directed by Congress, which wrote and passed the current Selective Service Act text, capturing only men. Guidance issued under the Clinton administration and rulings by the United States Supreme Court have further solidified the government’s position singling out males for draft registration. Contrary to Panetta’s comments yesterday, only Congress could effectively direct women to register with Selective Service, and it is in no rush to do so. Legislation would need to work its way through both houses, repealing gender-specific references within the law and directing the expansion of the current Selective Service System to include women. Such legislation would be difficult to enact administratively and could cost the government millions of dollars—and that’s to say nothing of the political factors involved in such an endeavor. With yesterday’s announcement, members of the House and Senate defense committees expressed widely divergent views that highlight some of the obstacles to a formal change in policy governing the Selective Service. Former ranking member of the Senate Armed Services Committee Ranking Sen. John McCain (R-AZ) wholly endorsed the policy change, saying, “American women are already serving in harm’s way today all over the world and in every branch of our armed forces.” McCain’s comments gel with those of newly elected House member Tammy Duckworth (D-IL), who lost both of her legs in 2004 when a rocket-propelled grenade struck the Army HH-60 Black Hawk helicopter she was piloting in Iraq. “The decision to allow women to serve in combat will allow the best man or woman on the front line to keep America safe,” Duckworth said. But House Armed Services Committee member Rep. Duncan Hunter (R-CA) disagrees with Panetta, saying the move will not increase the military’s combat effectiveness. Hunter, a Marine Corps reservist, suggested the announcement was politically motivated. While the issue of women’s ineligibility for the draft may prompt further debate on Capitol Hill about gender equity in the services, the reality is that the draft itself has not been used since 1973, Selective Service System statistics say. After Vietnam, the all-volunteer force became the backbone of the uniformed services. Today, the all-volunteer construct seemingly puts both men and women at near-equal risk of losing their lives to enemy fire, and casualties over the past decade of persistent conflict show enemy rounds do not discriminate between male and female servicemembers. In the unpredictable wars of the future, yesterday’s announcement by DOD ensures women will be at the front alongside their male counterparts, prepared to give what President Abraham Lincoln called the last full measure of devotion for freedom. Over the past decade of war, the notion of traditional battle lines has evaporated, leaving American men and women in uniform equally susceptible to enemy fire and the even less discriminating improvised explosive devices. The result has been both shared sacrifice and a force of men and women equally adept at facing the ever-changing global threat. When it comes to the draft, women may still need to wait a little longer for that opportunity, but the roughly 15 million men already on the Selective Service rolls remain much less likely as a whole to see combat than the more than 214,000 women already wearing the nation’s uniform.